This is one of the issues facing travelers. How do I work out while on the road? There are several ways to maintain and even build endurance and strength when you don’t have the luxury of your local gym. The key is finding something you enjoy to do. For me I have a couple of loves. Crossfit, yoga and running, all of which you can do on the go very easily. When I travel I always pack these three essentials, at least, running sneakers, a travel yoga mat, and my jump rope. Short of that you don’t need much else, apart from workout clothes. Being a CrossFitter the first thing I do is figure out which boxes are located closest to where I will be traveling. I love CrossFit. It’s such an amazing community. I try to fit in a CrossFit WOD (workout of the day) on the first day I arrive in a new city. Not only will you get a great workout but you have a captive group of locals who are more than happy to take you out for a beer and show you around. Make sure you call the gym to see what their rates are and if they accept drop-ins. Most CrossFit boxes do accept drop ins (non-members) but there are the rare few that don’t. It’s also common courtesy to let the coaches know you’re coming. If you’re in the Vegas area drop and want to experience a big box feel head to CrossFit Max Effort. Owner Zach Forrest has a fantastic facility with a world-class staff. The gym averages 100 drops in a week and on any given day you might run into CrossFit royalty, Zach’s been in the game since CrossFit started. If you’re looking for something with a little variety, drop into my gym! 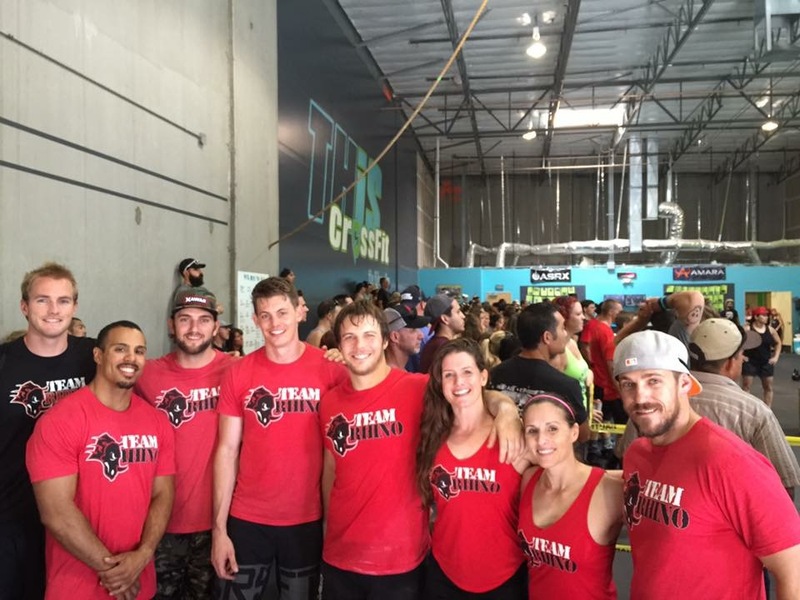 Rhino CrossFit is apart of Camp Rhino and not only offers CrossFit classes throughout the day but you can also try Bootcamp, Ninja Warrior and Obstacle Race Training Classes. We also provide an open gym from 5am -9pm Monday – Friday. If you’re an early riser you can take the 6am CrossFit class with me Monday through Friday. Nervous to try CrossFit? Listen I understand. I was in your shoes, 7 years ago. The hardest part is walking in the door but when you’re traveling no one knows you and you need a good workout. Better to workout with people than to work out by yourself. It pushes you to do better and be better. So maybe CrossFit isn’t for you…and that’s ok. I love running and yoga just as much. Running is a great way to see the city that you’re visiting. It allows you to venture and see the city at times that are less populated, early mornings are best! Take your phone and you’ve got a camera in your hand. If you’re not a runner and lets face it, not many people are, try your hand at yoga. It’s a fantastic way to keep you fit and centered while on the road. I own a Manduka eKO SuperLite Travel Yoga Mat. It has a pack weight of 2.2 lbs but it is one of the lightest on the market and if you’re like me a yoga mat is something you don’t want to share. If you’re tight on cash you don’t have to go to a class watch one on-line from the comfort of your hotel room. YouTube offers a ton of yoga classes for all different abilities and practices. Just type into the search area what you’re looking for and you’re golden. No matter what you do make sure that you get out and do something. If you’d rather not be gasping for air as you walk up that one flight of stairs in the Vatican, make sure to be consistent in your exercise. Until next time, life happens so travel now!